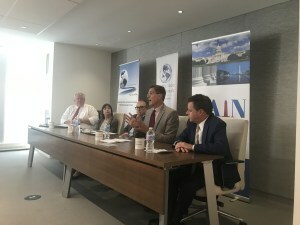 Together with Barnes & Thornburg LLP, our summer calendar kicked off May 9th with Hot Topics in Public Policy: Trade, a robust panel discussion on the ins and outs of trade policy trends such as CFIUS reform, NAFTA negotiations, the Administration’s steel/aluminum tariffs, trade policy enforcement, and Congress’s role in trade policy-making. Led by Time On The Hill’s Brent Sullivan and generously sponsored by The George Washington University’s Graduate School of Political Management, GAIN’s next event, Climbing the Hill: How to Land a Hill Internship, took place May 18th and walked viewers through the basics of how to secure an internship on Capitol Hill, covering everything from searching for the right office to nailing the interview. Continuing our efforts to help DCers land their federal dream job, GAIN then teamed up with AskNot LLC on June 1st for Launching your Federal Career: How to Get Started in the Federal Government. This engaging webinar addressed questions like how candidates right from college should obtain the experience they need and how candidates from the Private sector should approach a transition. (GPN). 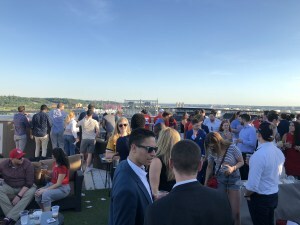 The June 14th event sold out in record time and attendees found themselves enjoying the gorgeous weather and incredible view of Nationals Stadium as Congressmen on both sides of the aisle showed off their skills. We’d like to thank our incredible sponsors once again for their help in keeping this our best and most well-attended event of the year, sponsors that include Beekeeper Group, S-3 Group, National Write your Congressman, Quorum, Advocacy Associates, Centurion Group DC, RAP Index, State & Federal Communications, GovPredict, and the Congressional Women’s Softball Game. 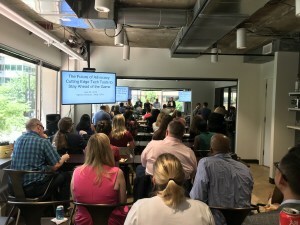 Last but certainly not least, on June 28th, GAIN joined forces with GPN, Beekeeper Group and Agency Advisors to co-host the first event of The Future of Advocacy, a new series focused on the cutting edge technology that professional advocates everywhere should be utilizing to stay ahead of the game. Please join us for our next event, Hot Topics in Public Policy: The Second Space Age on July 18th at the offices of Barnes & Thornburg LLP at 1717 Pennsylvania Avenue Northwest #500 Washington, DC 20006. We’ve got lots more to come too so please stay tuned!